Betron YSM1000 Review – Really the Best Bass Earbuds under $15? 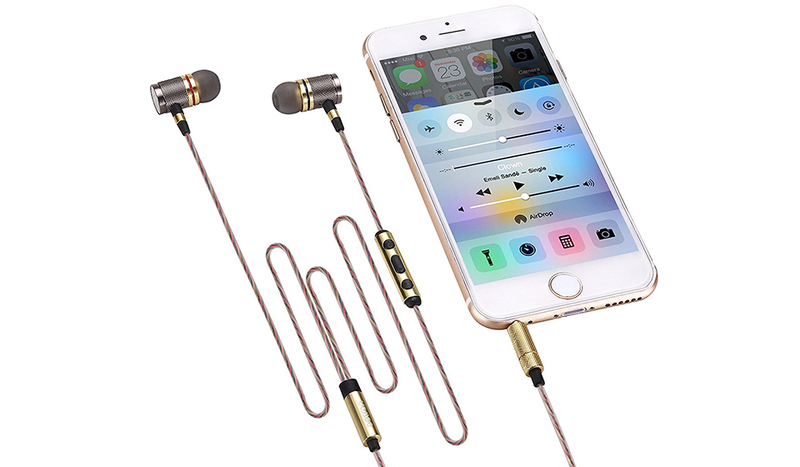 Are these under $15 earbuds a good alternative to Beats? The bass heads of this world listen up. 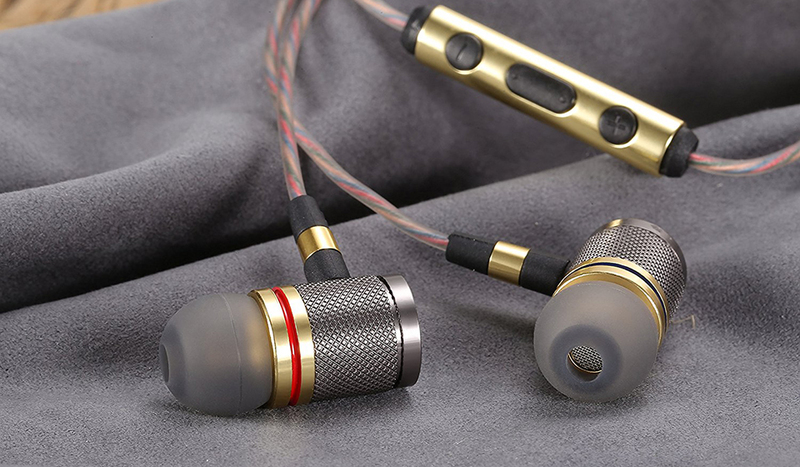 If you are looking for cheap earbuds with overpowering bass, you must read this. 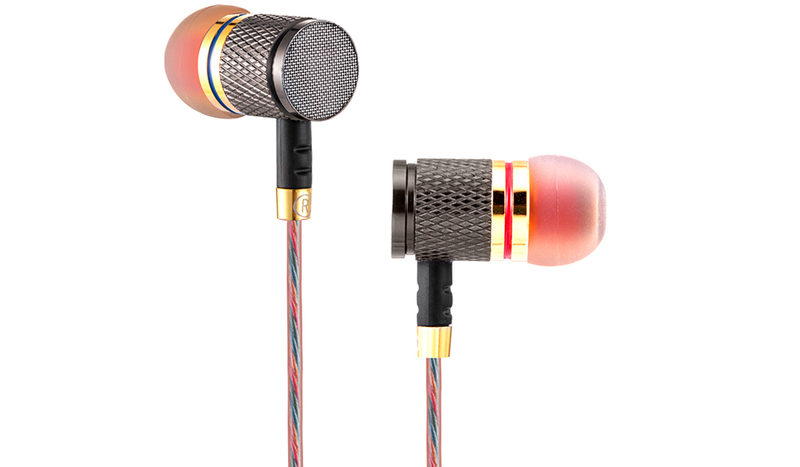 The Betron YSM1000 are wired in-ear headphones with a “blingy” style and deep bass. These are a solid alternative to Beats (but much cheaper). Read on to see what the sub-$15 earbuds have to offer. The earbuds are surprisingly comfortable to wear despite being metal and a bit heavier. Since they have a metal casing, you might think they are cold to the touch. That’s not the case. To be honest, you do feel their heavier weight, but it’s not too bothersome. Also, to offset the weight you can choose from many different ear tips. You’ll probably prefer foam ear tips, but hybrid and silicone ones are fine too. Overall, the comfort is better than you’d expect though you can get more comfortable in-ear monitors for a similar price. 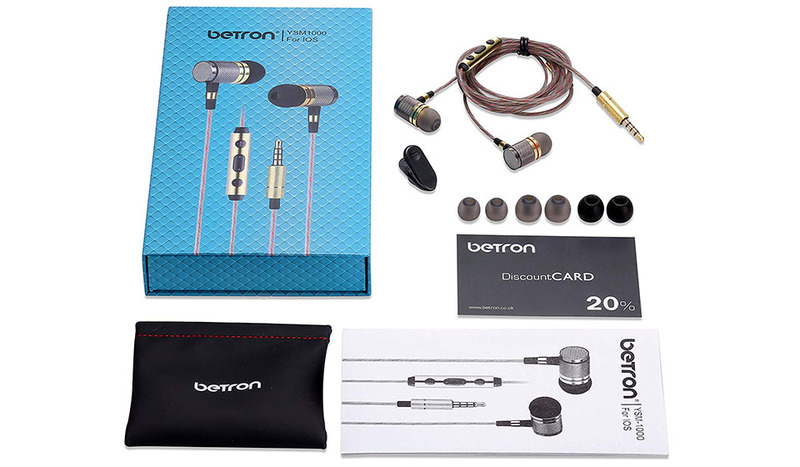 Betron YSM1000 sit securely in the ears for everyday use but are a bit less optimal for working out. The casings are a bit bigger than with many comparable cheap earbuds, so they do stick out of the ears a bit. This makes them unsuitable for sleeping or taking a nap on the side. In the end, the fit is more than stable enough for walking, gaming, and other everyday use. Though, we wouldn’t recommend them as dedicated workout earbuds. Strain relief around the 3.5 mm plug. As with all in-ear headphones, the noise isolation is pretty good. Keep in mind these are noise isolating and not, as some people might mistake them for, active noise cancelling. Nonetheless, the silicone ear tips alone provide enough isolation to enjoy music even in a louder environment. If you want extra peace and quiet, you can always use foam earbuds. Just make sure to pick the proper size of the ear tips. Because if you don’t, you’ll think they leak sound and have zero bass. An airtight fit is a must. Immediately when taking Betron YSM1000 out of the box, you notice they are well built. The materials feel solid with metal casing, and rubber protected wires. All the weak points have additional strain relief (at the 3.5mm plug, and where the wires connect to the buds). Everything feels solid and made to last. The casings are metal and quite large. Furthermore, after additional research, we didn’t notice many cases of failure. It seems it does happen, but in this case, you can use the 1-year-warranty. Overall, the durability easily measures as reliable. The remote and mic are compatible with Apple and Android devices. You can control the volume, next/previous, play/pause and answer or hang up calls. The in-line remote control has 3 buttons that control everything. 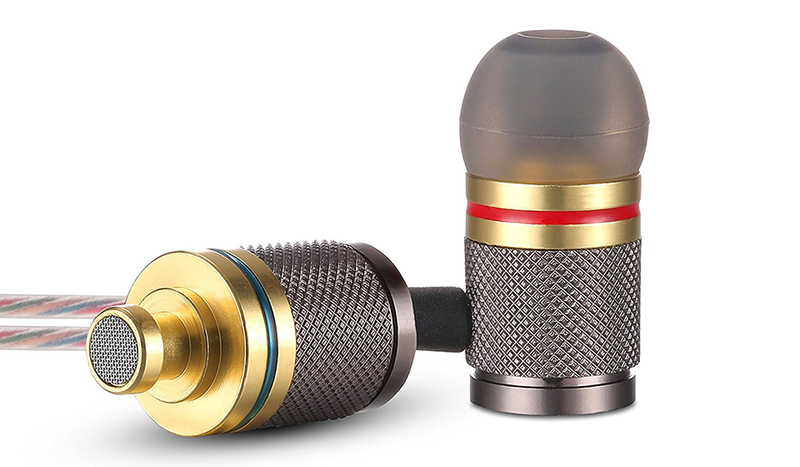 Moreover, the in-line microphone quality is good enough to make calls in a typical environment. So make sure to stay away from ambient noise when you want to make a call. 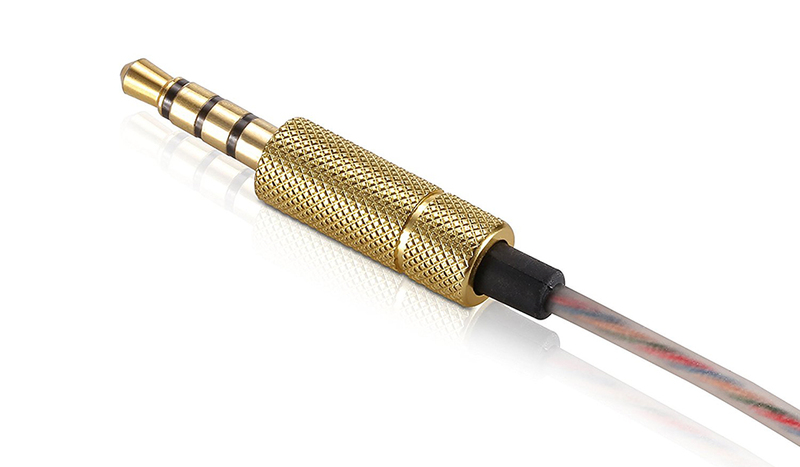 Additionally, they come with a 24k gold plated 3.5mm connection jack which looks good and feels like a quality product. The look of the headphones is one of the strong or weak suits of these headphones. It depends on whether or not you like the flashy design. Betron YSM1000 are definitely on the “flashiest” side with gold color and shiny metal parts. Above all, you get many accessories considering the price (under $15 as of writing this). In one word: overpowering bass. Bassheads rejoice, if you are looking for a super strong bass that distorts other ranges, then these are for you. The soundstage is undeniably bass emphasized with middle and high ranges in the shades of the mighty lows. This is excellent audio quality for bass lovers but not for people who want something more neutral. The quality and clarity of the bass isn’t fantastic and can get muddy at times, but that’s expected for such cheap earbuds. “Power over fidelity” is the mantra. Still, considering the price you’re paying, we can recommend them to all bass enthusiasts. Moreover, the soundstage is pretty average so don’t expect sensational instrument separation. Thankfully, the cable noise isn’t too noticeable and shouldn’t be a problem for you. The same is true for sibilance, occasionally it comes out and becomes annoying but most of the time it’s not bothersome. In the end, if you like powerful bass and don’t worry about treble clarity, you’ll love them. Together with a powerful bass sound you also get a durable design, lots of ear tips and an in-line remote and mic all for under $15. Betron YSM1000 is a no-brainer for bass heads on the cheap. Looking for classic earbuds instead? Click here. Guide on over-ear and on-ear headphones with amazing bass.